Keyword Quality: Keywords needs to be very specific and descriptive. It should be able to describe your purpose on the internet with a high degree of relevance to your content. Finding the correct keyword for your website can be done by judging your content and thinking like a visitor in need of your products. You can use Google Keyword tool that can be accessed online. You can consult web pages from other dealers in the same field. Also you can get an idea from that ‘related top searches’ results of a popular organic search engine. Keyword Frequency: This is also very important since SEO bots uses this as a parameter. More than three times and less than 10 times is the usual keyword frequency in the metatags. You need to be careful not to overspill your content with keywords. This is penalized by search engines as a Black Hat SEO trying to deceive the search engine programs. Keyword Placement: This is also vital. Placing keyword in the page Title, headings, link text besides within the content are rewarded by search engines as the most relevant content. Regarding content, keywords should be well distributed. But the first appearance of the keyword in the content should be within the first 10 to 20 lines of the first paragraph. Keyword and word Ratio: This is often regarded as keyword weight. The latter is another parameter judged by the search engine bots to determine relevance. Relative position between keywords or key phrases is also taken into consideration. Keyword proximity: These basically refer to the word distance between the key phrase present in the content and that being queried by the user. Smaller the word distance the more relevant and optimized it will be from SEO point of view. For example, the surfer types in a search with the key phrase ‘vitamins for hair growth’ and your content has keywords ‘vitamins for regeneration of hair’ while another internet page has key phrase ‘vitamins for hair fall’. The other page will receive more relevance. It is sometimes almost about the exact keyword. So try to place a variety of key phrases that depict the same meaning. 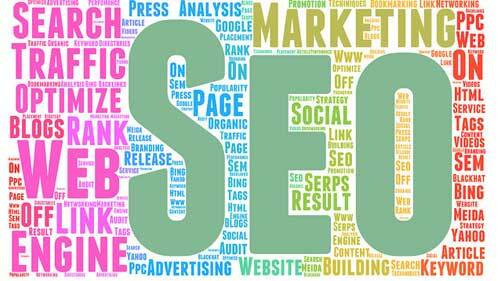 This will increase the probability of getting a good SEO. Are you ready to boost your website traffic for free? Sign up to increase website traffic at 10KHits!